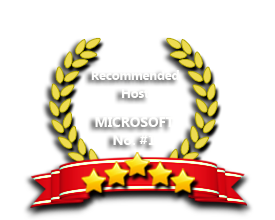 ASPHostPortal.com is one of the first hosts to launch ASP.NET 4.0 Web Hosting on our Windows 2008 hosting platform. With ASP.NET 4 hosting, you can take advantage of the new features and enhancements in Visual Studio 2010 and Visual Web Developer 2010 and you can also enhance your site using Silverlight and ASP.NET MVC. Our Windows Cloud Hosting fully supports ASP.NET 4.0 hosting. You are more than welcome to try our Free Windows Cloud Hosting before you decide to buy. You can get your Free Cloud Windows hosting account up and running within the next few minutes.